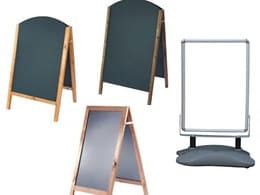 For a classic way to keep track of messages or daily tasks, to aid presentations, or to display information, chalk boards & black boards from The Workplace Depot are a great option. They’re perfect for schools, colleges, classrooms, commercial and home offices, and any place that would benefit from a classic display board. Kids love to draw on them, too. 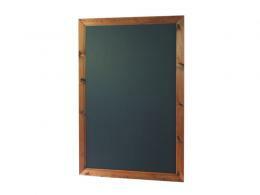 The Framed Chalk Board mounts to the wall and comes in 5 finishes – oak, black, mahogany, dark oak, and pine. The frames are made with sustainably sourced American Redwood and come with all of the necessary fittings for wall mounting. Use chalk or liquid chalk pens to draw or write on the surface. It’s available in two sizes and would complement any classroom. The Workplace Depot’s Framed Black Board is similar to the Chalk Board in all ways except it comes in classic black. The wood for the frame is sustainably sourced American Redwood available in 5 finishes to match any type of décor. The surface will take chalk or liquid chalk pens for drawing, writing, or scribbles. 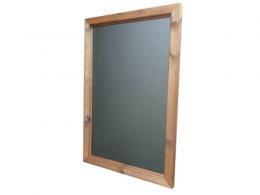 Both the Chalk Boards & Black Boards are made in the U.K. with high-quality materials. Either would be an elegant addition to a café for writing out the daily menu, or for use in an office meeting room for diagramming and note-taking purposes. Our Chalk Boards & Black Boards come with one year warranties including parts and labour. We also offer price matching and easy returns and exchanges. The Workplace Depot offers free delivery on all products. These particular products will arrive within 3-5 working days after placing your order. Make sure you shop with us for the best in workplace, office, school, and business supplies and furniture.